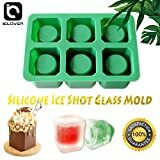 This cool new Super Cool Ice Shot Glasses Mold transforms water, juice, soda, fruit punch, and more into 12 frozen shot glasses. 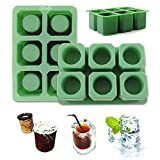 Now you can do whiskey shots in a cola shot glass, tequila shots in a lime juice shot glass, vodka shots in an orange juice shot glass - the combo possibilities are limitless. Best of all, zero shot glasses to wash afterwards. 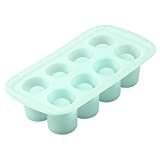 I think I would melt down and refreeze a tasty Bomb Pop into a shot glass and then serve with vodka. Yum.